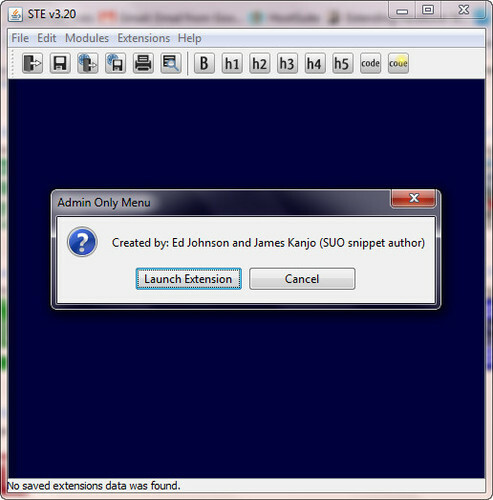 Installation ID: 11 <- You need this number if you want to install the extension using STE! 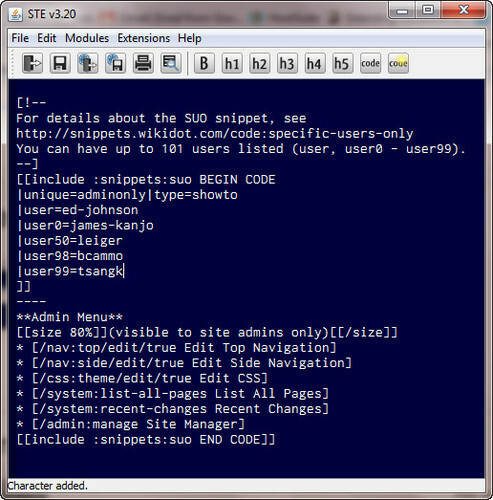 This extension uses James Kanjo's Specific Users Only snippet to wrap a set of common links to make life easier for site administrators. 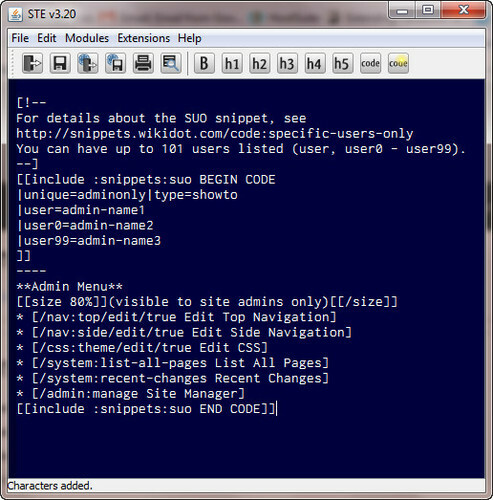 After inserting the code from this extension, be sure to edit the list of admin users. I recommend you add this code to your nav:side page (if you use a sidebar) or any page where it's convienient for your admins to access. It can be added to nav:top but may need some tweaking after insertion. append You can have up to 101 users listed (user, user0 - user99). Add reply on "Admin Menu"